The launch of Celgene’s multiple sclerosis drug, ozanimod, will be delayed after the company failed to submit key information in its application to the Food and Drug Administration (FDA). A Refusal to File (RTF) letter was sent to Celgene in February. The company has said it will resubmit its application in the first quarter of 2019, which means that competitors may be able to benefit from the delay to launch their own drugs in the interim. It is now likely that ozanimod won’t reach the market until 2020. If it fails to meet the demands of the FDA, its sales potential will be in jeopardy. The RTF notice was based on Celgene’s omission of preclinical and clinical pharmacology information on the oral pill, which meant a complete review of ozanimod could not take place. When the notice was issued, Celgene’s stock fell by 6%. It was estimated that sales of the drug would peak at around $5 billion a year, giving it blockbuster potential. Despite the setback, Celgene’s first quarter results for this year were promising for the company, exceeding the forecasts made by Wall Street experts. Shares rose by as much as 4% – a welcome boost after the 42% decline since October last year. On approval, ozanimod would be set to compete with other drugs such as Merck KGaA’s Mavenclad (cladribine), Biogen’s Tecfidera (dimethyl fumarate) and Novartis’s Gilenya (fingolimod). The latter are all pills and thus a more convenient alternative than the injected medicines that have been used as standard. The pharma company has said the launch of its two drugs – fedratinib for myelofibrosis this year – and immunotherapy cell therapy treatment JCAR017 for blood cancers in 2019, will balance the later than expected launch of ozanimod. 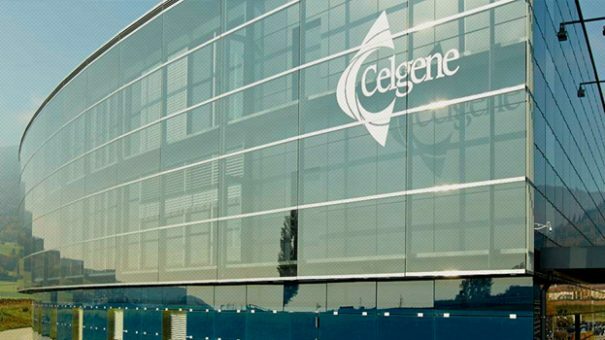 Celgene gained fedratinib and JCAR017 as part of its recent acquisitions of Impact Biomedicines and Juno Therapeutics.